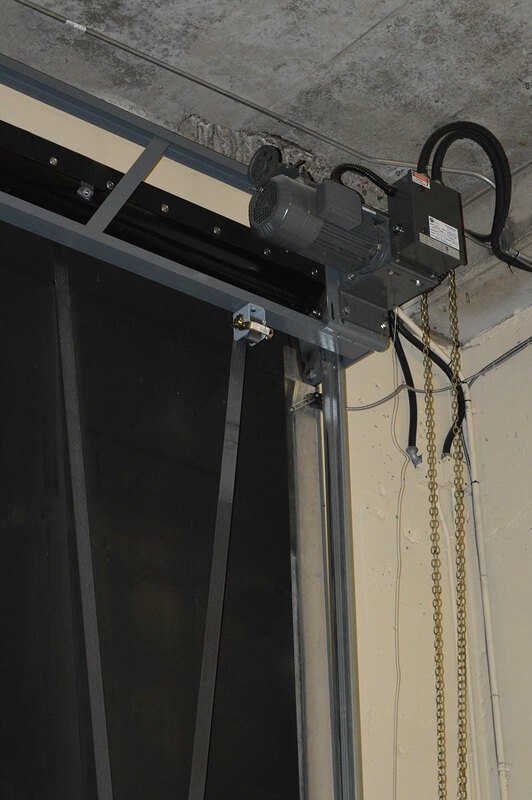 The TNR door is a rugged, roll-up door for extra large openings. The ideal solution for storing and moving heavy-duty equipment, we recommend this door for industrial applications, such as plants, mining and oil sand operations. The rubber door provides peace of mind with high security and high operating speeds at 12 inches per second. TNR is an industry leader in providing extreme performance doors for extreme applications. Canada Place needed new heavy-duty doors for their parking garage. The TNR extra-large doors were chosen for their rugged build. Built with black SBR rubber with polyester core weave, these doors are flexible and resistant to damage. These TNR doors were also a great choice because of their low-maintenance requirements.